There are SO MANY cool events coming up at the ‘Lift! 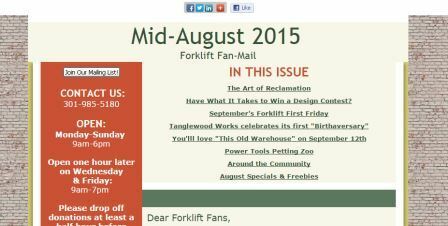 First, kick off your Labor Day weekend by meeting friends for some honky-tonk at the Forklift First Friday party. 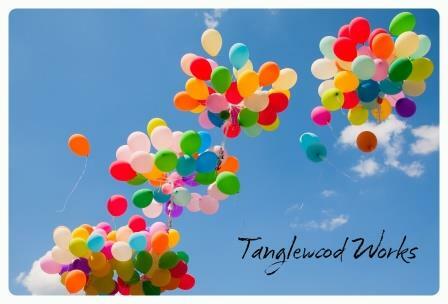 Then, throughout the weekend at the first “Birth-A-Versary” celebration for Tanglewood Works, there will be a ton of FREE DEMOS, discounts on upcycled housewares, a “Salvager Hunt,” and more! The following weekend, on Sat. 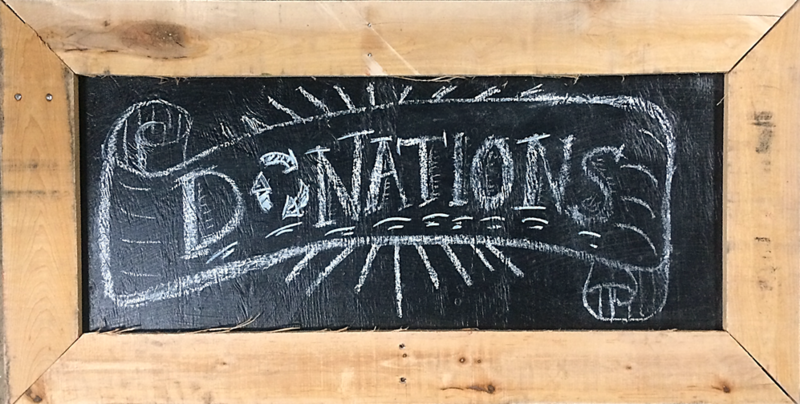 Sept. 12th, our fall festival will celebrate old homes and the folks who love them. 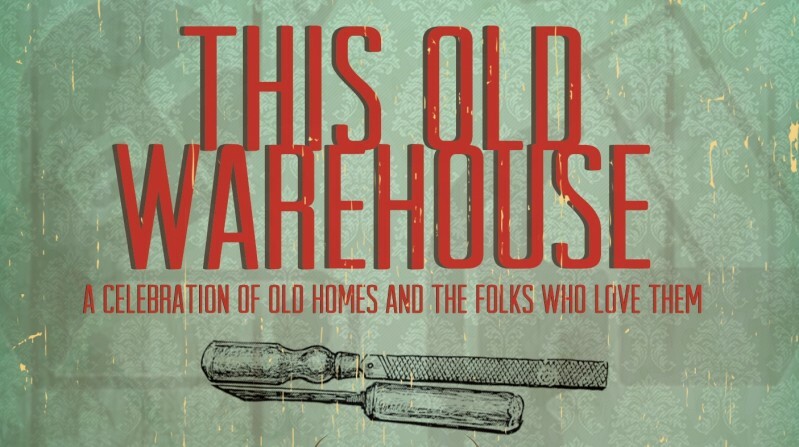 At “This Old Warehouse,” you can meet antique & restoration experts, get appraisal advice, and attend useful workshops on topics like window restoration and electrical systems in old homes. You can also browse a nice selection of antique tools and hardware (normally sold only online). * Pick up some free paint!